Working with Joseph has been the best decision and investment I’ve made in myself in a long time. I have to admit, I was skeptical at first – I was a Division I college wrestler, was in the Army for 12 years, and even taught Physical Education at the United States Military Academy at West Point. What was Joseph going to show me that I haven’t seen before, or couldn’t do myself? After almost a year of working with him, I can clearly answer that question. First, he took the time to get to know me and my goals. I totally dislocated my knee, snapping all 4 ligaments in a wrestling match and have to be careful about the exercises I do. Based on my goals, and the awareness of my injury, he designed a program to meet both of those needs. Second, he holds me accountable in a way that works for me. He doesn’t yell, he doesn’t belittle…he coaches, he helps, he motivates. Third, he continues to make adjustments, changing exercises, rest times, repetitions, and dietary recommendations that keep things interesting, challenging, and motivating. All of these things together are working – my weight is down 25 pounds, my bodyfat is down 6%, my cholesterol and blood sugar are the best they have been in 15 years, and my knee and other joints feel better than they have in years. I really enjoy working with Joseph and would highly recommend him for anyone – from kids to the elderly.~Tim, Granby ,Ct.
Have you ever considered changing up your workouts? Maybe adding in some weight training or trying some of those core strengthening moves you've seen others doing? I have been doing cardio on a treadmill and outside forever. A few years ago I started doing Zumba and I loved it, but for the most part I was still doing just cardio and I noticed that I was not feeling as strong as I had when I was younger and the pounds were starting to pack on. I knew I needed something different so I joined a gym and still gravitated towards the treadmill and the classes. I tried to do some of the core stuff on my own and wound up hurting my shoulder and back so I stopped. In June of 2013, I met Joseph and everything changed. I tried the core fit class on Monday night and I was so scared! But I soon realized that I had nothing to be afraid of. Joseph walked each of the students through the exercises, he answered questions and showed modifications for those who needed them. He pushed us to our potential but not past our safety zone. I decided, although I loved the class, that I need more individual attention and someone to show me proper form. I started working with Joseph and he walked me through every step; he never let me quit but he always listens when I say something doesn't feel right and we try something else. Just talking to Joseph made it clear that he knew not only the exercise part of losing weight and getting strong but also the physiological science behind it. He definitely knows what he is talking about!! I feel stronger and healthier now than I have in a really, really long time and I am accomplishing things I never expected to do! 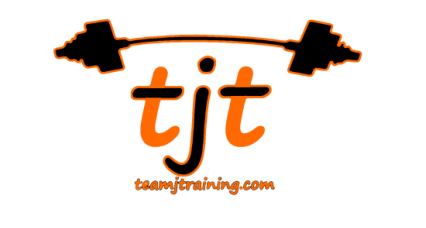 If you have ever considered personal training, I would highly recommend talking to Joseph. He will tailor a program that will work for you. If you are more comfortable in group classes, then I suggest trying the core fit and the boot camp. I promise you will thank yourself. ~Tracy G., Suffield, CT.